Participate in top-rope rock climbing, where you learn from our expert climbing counselors how to use a harness, ropes, knots, ATC, Grigri, and the proper climbing and repelling technique to conquer the local rocks. We climb up independence pass on climbs rated from 5.6 – 5.11. As a result, any ability of climber has the opportunity for a great challenge when rock climbing at camp. We offer repelling activities as well, where campers start at the top of the cliff and lower themselves down. Rock climbing is one of the most unique summer camp activities at Ajax Adventure Camp given we have access to world-class rock climbing areas. If campers are really interested in honing their climbing technique, we’ll bring out the ‘crash pad’ so that we can tackle some of the bouldering puzzles in the area. 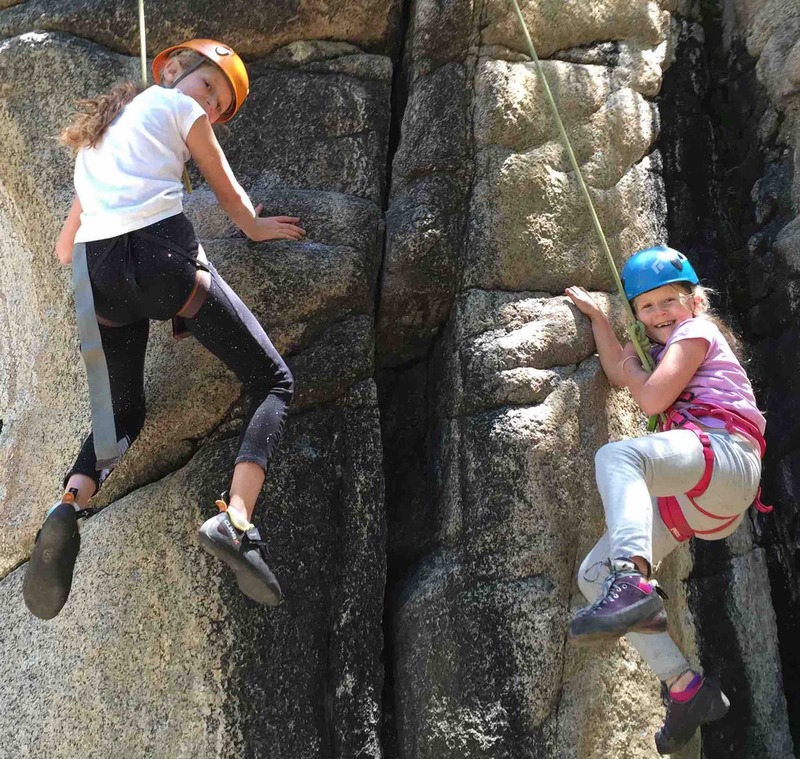 Of course at Ajax Adventure Camp we bring creativity to all our activities, sometime we offer special climbing sessions like “cookie climbs” – you’ll have to check out the rock climbing activity to learn what that is!